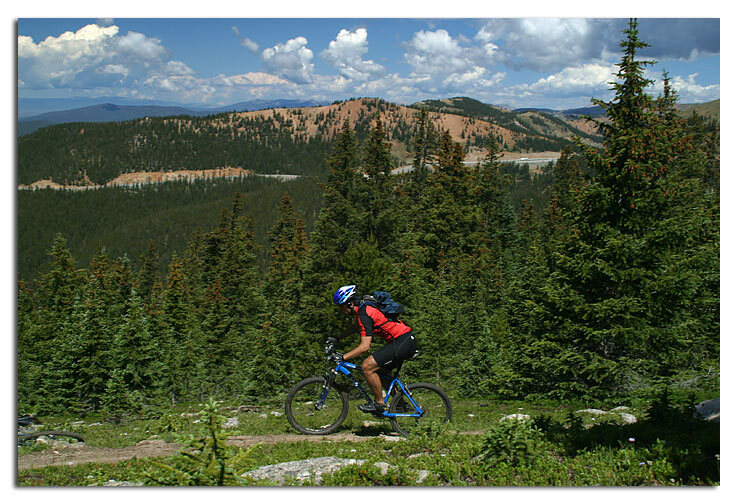 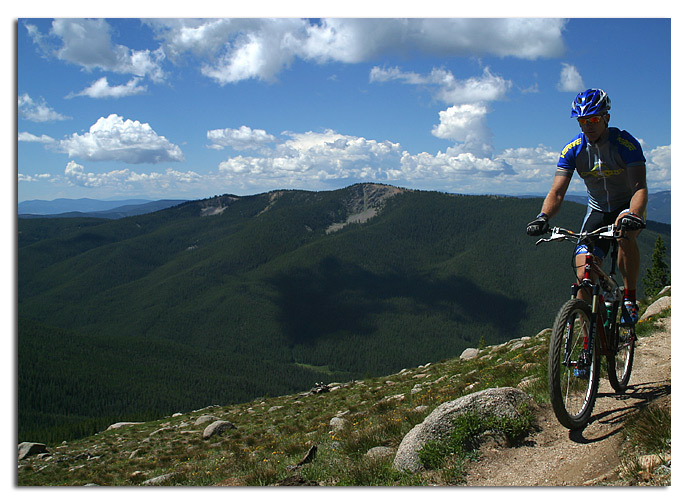 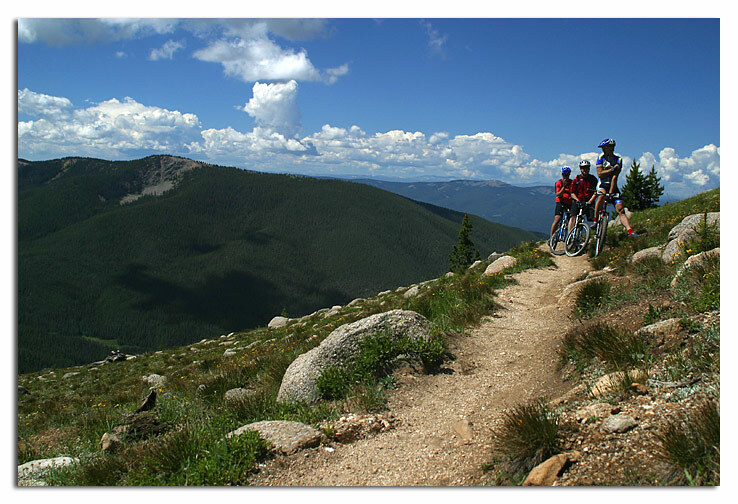 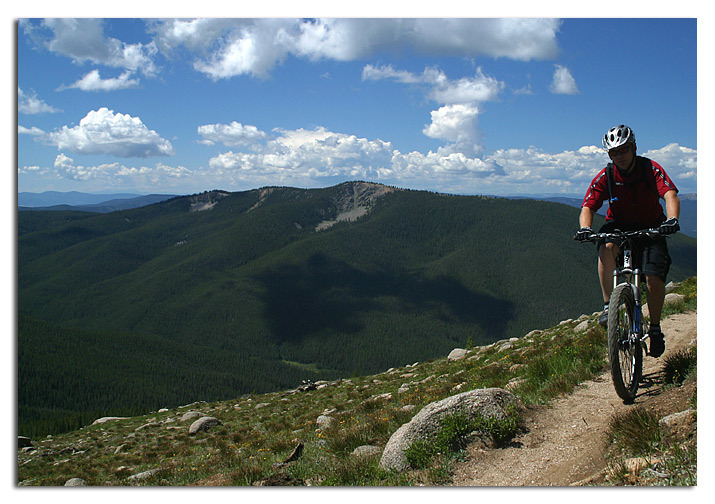 Monarch crest, one of the best rides in Colorado by most accounts. 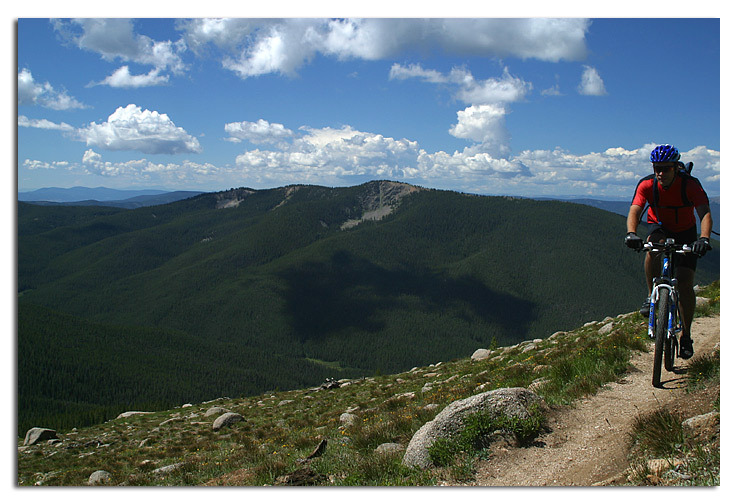 The route we took is right over 40 miles and starts at the top of Monarch Pass on highway 50, elevation 11,312 and descends down to Poncha Springs, elevation 7500. 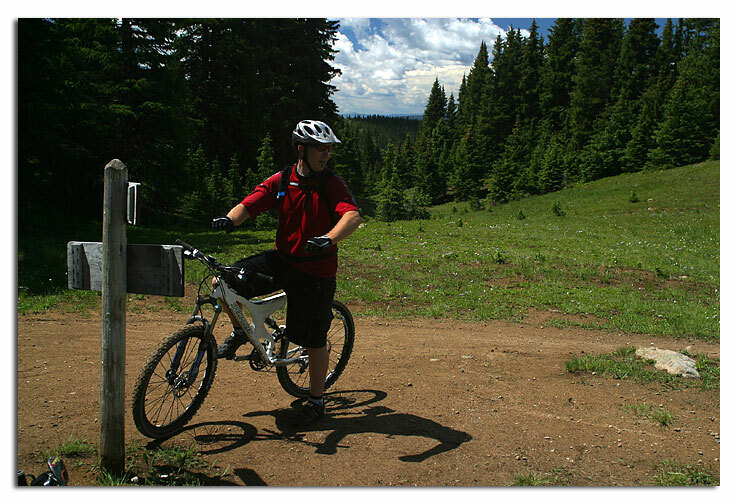 Based on those figures alone one would be tempted to call this a downhill ride; it is however, very much a cross country ride. 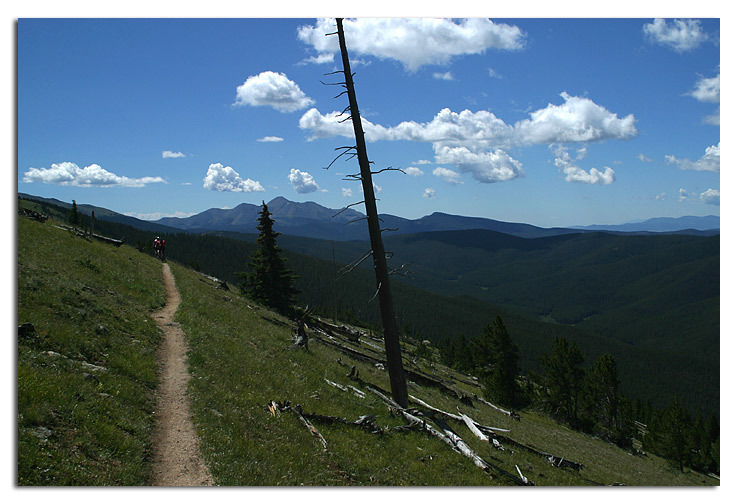 Somehow amidst all of that elevation loss the trail finds time to climb nearly 3000 feet. 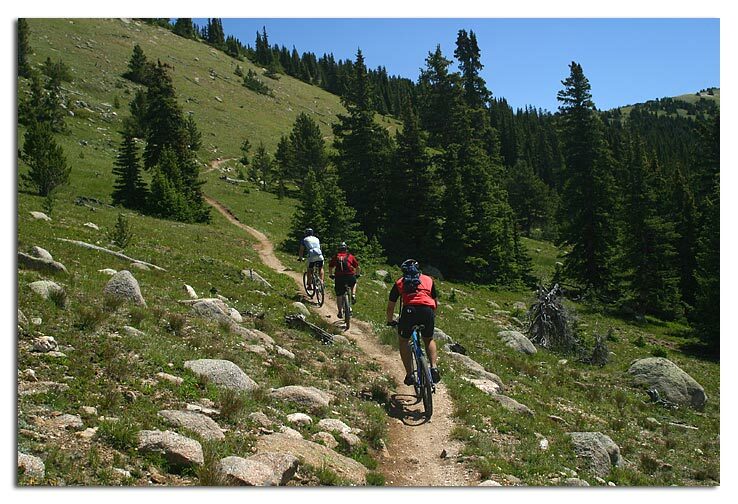 The scenery is nothing short of stunning and the trail crosses through several distinct vegetational zones. 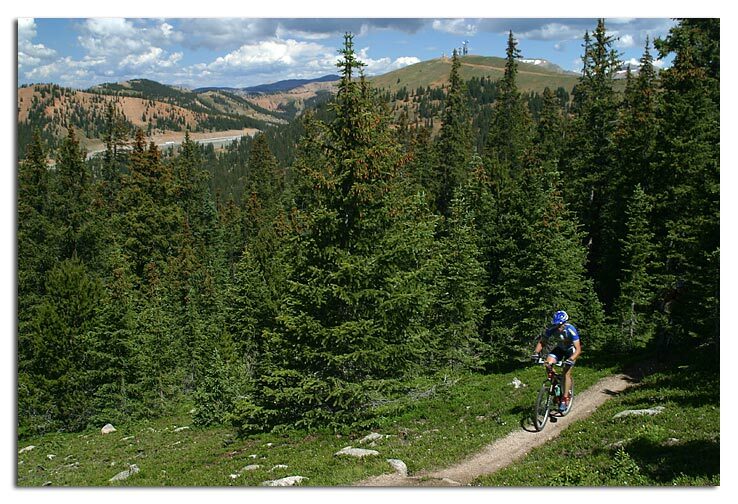 In the above picture you can see the parking area at the top of Monarch Pass.